I couldn’t resist the chance to do a Raw write-up this week for old time’s sake. It’s the first show of the year, and the name of the game (supposedly) is shaking things up. Making Raw a fun, entertaining show again after its ratings fell to record lows during the holiday season. As the first show of the new year, this was an ideal opportunity for them to make good on that, and really give us something to remember. 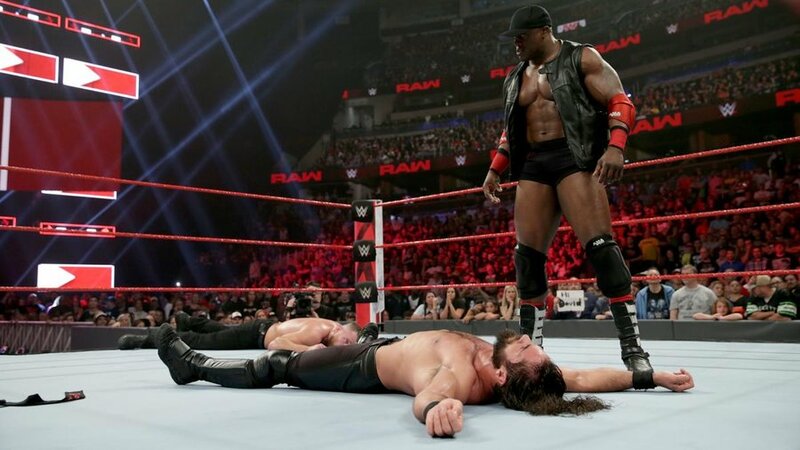 The show opens with a backstage pull-apart brawl between Seth Rollins and Bobby Lashley. John Cena returns to Raw, enters himself into the Royal Rumble Match, and then gets challenged by Drew McIntyre. A larger brawl then erupts, which turns into a Six-Man Tag. Cena, Rollins, and Finn Balor defeat McIntyre, Lashley, and Dean Ambrose. Good opener. Kick things off differently with an angle to grab their attention, then go right into Cena’s entrance to keep them. The segue into the six-man was kind of a groaner, as that’s been a staple of their lazy writing over the last decade or so. But the crowd was happy to see Cena, and the babyfaces got a nice win. So no harm done. Hulk Hogan makes his first TV appearance for WWE in several years, paying tribute to Mean Gene Okerland. First and foremost, nothing but respect for the life and legacy of Mean Gene Okerland. His iconic voice was a huge part of many of our childhoods, and he’s forever linked with the global expansion that made the World Wrestling Federation into the juggernaut WWE is today. 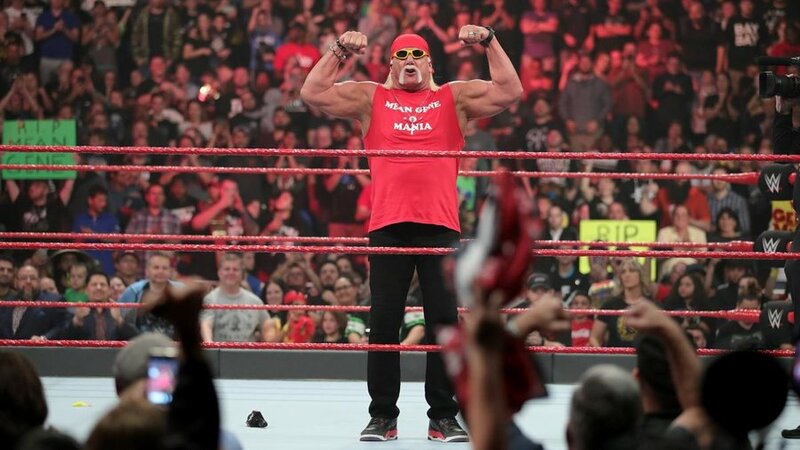 WWE continues to be in an awkward position as they try to bring Hulk Hogan back into the fold. It feels fairly to say they used Okerland’s death as a chance to bring him back to TV in a relatively safe fashion. But that’s more or less what they did. They even got a bit of backlash for plugging his merchandise on Twitter. But on the flip side, if you’re going to do a live tribute to Mean Gene, you almost have no choice but to bring in Hogan. When you think of Okerland, Hogan inevitably comes to mind. “Well let me tell you somethin’ Mean Gene,” and all that. In the end, what they did ended up being really nice. The video package was great. And even though it seemed like much of the crowd didn’t know how to react to Hogan given the controversy, I didn’t hear any booing. So I’d say this went about as well as it could have gone. When Hogan mentioned all those names from the golden age of WWE, it really hit home just how many of those guys left us too soon. Randy Savage. The Ultimate Warrior. Roddy Piper. Mr. Perfect. Andre the Giant. Gorilla Monsoon. Bobby Heenan. Now Mean Gene. Make no mistake about it, if you were a wrestling fan in the ’80s, those names are indelibly etched in your heart. Thank you for the memories, gentlemen. 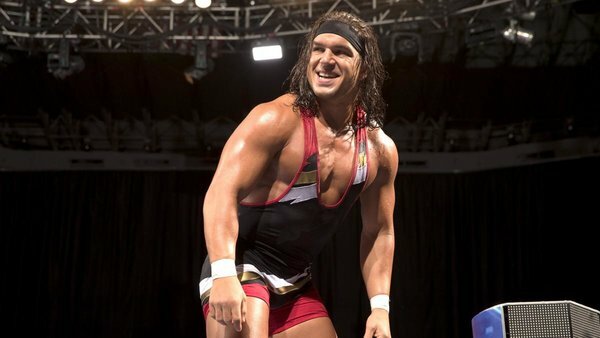 Bobby Roode and Chad Gable def. The Revival in a Lumberjack Match to retain the Raw Tag Team Titles. I can appreciate that they didn’t just toss the tag titles on Dash and Dawson right away. Based on the screwy finish they’re going with, this is clearly going to be a drawn out thing. We may even get a Bobby Roode heel turn in the process. So I’m on board. Baron Corbin def. Elias. 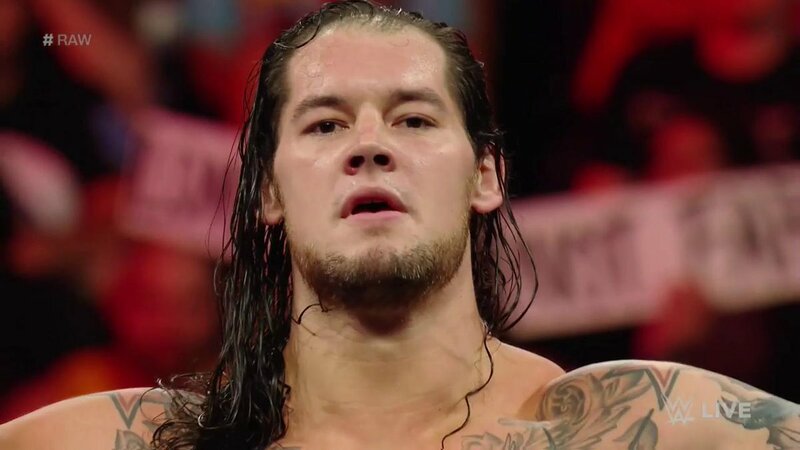 Baron Corbin has…something. Yes, he has his critics. But he’s also extremely easy to dislike. So while WWE used him as the on-screen scapegoat for the crappy shows we’ve been getting, I’m pleased they haven’t tossed him by the wayside completely. The “constable” role was great for him. Now lets see if he can transition some of that into the ring. Brock Lesnar refuses to get in the ring with Braun Strowman. This was just brutal. The awkwardness was palpable almost from the get-go. It felt like Braun forgot his lines or something. What the heck happened? 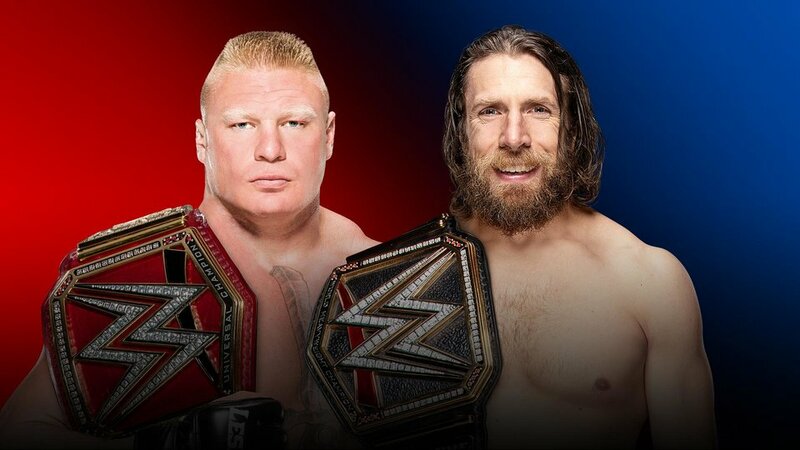 This match was already tarnished going in, as we’ve already seen it several times, and Strowman has yet to pick up a win over Lesnar. But this segment just added insult to the whole thing by making him look like a moron. Apollo Crews and Ember Moon def. Jinder Mahal and Alicia Fox. 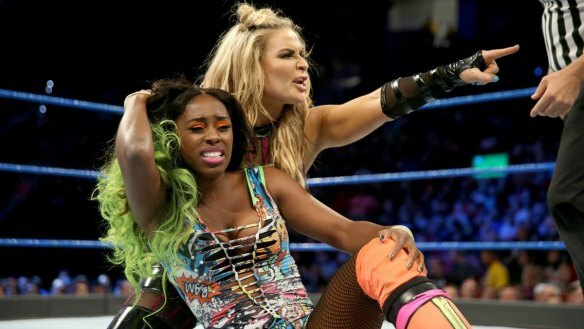 Happy to see Ember Moon get a win. But while I’ve always loved Apollo Crews’ athleticism, until he either gets a mouthpiece or a personality, I’m not interested. After Ronda Rousey appears announces she wants to prove herself against Sasha Banks, Banks defeats Nia Jax to earn a Raw Women’s Title Match at the Royal Rumble. That botched Powerbomb spot from the apron didn’t do Nia any favors. There was also a spot in this match where she dropped Sasha on the top rope. It looked like Sasha took a bad fall. But in all honesty, Sasha takes a lot of bad falls in these big matches. I can’t even tell which ones are accidents and which ones are on purposes. Either way, not the best showing for Nia. I’ve talked a lot about my distaste for Sasha’s attitude. But I won’t deny I’m very curious to see what she and Ronda do at the Rumble. It could be a lot of fun. Dean Ambrose def. Seth Rollins in a Falls Count Anywhere Match to retain the Intercontinental Title after Bobby Lashley interferes. Really good main event. Enjoyed Ambrose’s heel work here, particularly the Three Stooges eye poke to Rollins, and they way he sold the Curb Stomp. The finish to this match was plain as day the second they announced the match. Even before the Falls Count Anywhere stip came into play. They opened with Rollins and Lashley, and they closed with them. It was the right move. Lashley had some nice heel fire during the beatdown here too. They may have beaten that “Almighty” nickname into the ground. But don’t count heel Lashley out just yet. This entry was posted in Wrestling and tagged Alicia Fox, Apollo Crews, Baron Corbin, Bobby Lashley, Bobby Roode, Braun Strowman, Brock Lesnar, Brock Lesnar vs. Braun Strowman, Chad Gable, Dash Wilder, Dean Ambrose, Drew McIntyre, Elias (WWE), Ember Moon, Finn Balor, Hulk Hogan, Hulk Hogan return, Jinder Mahal, John Cena, Lumberjack Match, Mean Gene Okerland, Nia Jax, pro wrestling, professional wrestling, Rob Siebert, Ronda Rousey, Ronda Rousey vs. Sasha Banks, Ronda Rousey WWE, Sasha Banks, Scott Dawson, Seth Rollins, The Revival, WWE, WWE Monday Night Raw, WWE Raw, WWE Raw results on 01/08/2019 by primaryignition. Hmmm. Alright. I called some of this. Not a lot of it, though. But to be fair, it’s only half over. We’ll see who Smackdown gets tonight. They didn’t do much to improve the presentation of the Superstar Shake-Up this year. We had Kurt Angle come out at the top of the show and tell us that the picks had already been made. That helped matters. But I still miss the draft aesthetic, and the reaction shots when a wrestler realizes they’ve been drafted. Plus, the word “draft” just sounds better than “Superstar Shake-Up.” The latter feels like a Vince-McMahonism. 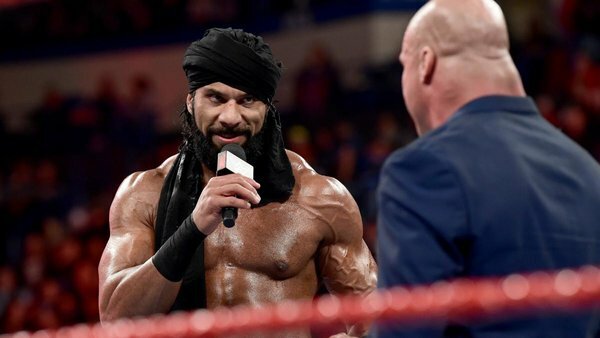 Jinder doesn’t necessarily gain much from moving to Raw. If anything, it pushes him further away from Heavyweight Title contention. They’ve already pulled him out of a major pay per view match with Brock Lesnar. But his chances don’t look good when he’s next to the likes of Roman Reigns, Braun Strowman, and Samoa Joe. It should be noted that technically only Sunil was drafted to Raw. But obviously they’re not splitting them up. Jinder is clearly better with two lackeys as opposed to one. I’m into this move. The biggest thing Ruby Riott, Liv Morgan, and Sarah Logan had going against them was that they were unknowns. The majority of mainstream fans didn’t know who they were. So they looked weak compared to Absolution, who had Paige as their centerpiece. On Raw, the Riott Squad can not only play to a larger audience, but benefit from more camera time. Who are these girls, anyway? Let’s tell some stories here. I called this one. But to be fair, so did a lot of people. Fans were calling for Miz to go back to Smackdown for months now. Then Daniel Bryan was cleared, and the pot sweetened ten-fold. I’d love to see Bryan vs. Miz saved for a show like Summerslam or Wrestlemania. But I’m not sure they can wait that long. This match has been brewing for a long while. But if they take their time, they could have a hell of a draw on their hands. This is a lateral move for Fandango and Tyler Breeze. These guys have their role as comedic players, and as long as this act is together that’s likely all they’ll be. Welp, here’s Ronda Rousey’s first pay per view opponent. They even put them on camera together. And hey, Natalya is about the best choice they could have made. She can take care of Ronda out there, and a win over her will mean something. I imagine they can get a pay per view match out of her and Nia Jax as well. Nattie is going to be a solid utility player no matter where she goes. That’s going to pay off here, as she’s about to get one of the biggest matches of her career against Rousey. I don’t think this is what anyone expected Drew McIntyre to do upon his return to the main roster. Frankly, I assumed he was Smackdown-bound. But this alliance with Dolph Ziggler isn’t the worst thing in the world. Ziggler is often tasked with helping introduce NXT call-ups to the main roster. That’s essentially what this is. Though I’m not sure McIntyre needed his help. There was a lot of talk on Twitter about how the three members of 3MB, Drew MyIntyre, Jinder Mahal, and Heath Slater, are now all back on the same show. Pure coincidence, I assure you. But one I imagine they’ll take advantage of at least once. They’re certainly not getting back together, so we can rule that out. Like Jinder, Corbin is done no favors by being placed in a larger pond. He seemed to be getting lost in the shuffle on Smackdown. Granted, a pair of embarrassing losses last summer did him no favors. But something is missing with Corbin. Here’s hoping they can find out what it is. Maybe all he needs is to work with the right opponent. In hindsight, his stuff with Dean Ambrose on Smackdown awhile back was actually pretty good. Cue the heel turn. Roode is venturing dangerously close to white-meat babyface territory. He had a decent start on Smackdown, but now it’s time to get him back on track. The former Hype Bros weren’t drafted together. But I find it interesting they both wound up on Raw. I had pitched sending Mojo to Raw specifically to get him away from Ryder. We need to start seeing him as something besides “the guy who turned on Zack Ryder.” Thus, separating them. I’m curious to see if this is just a coincidence, or if they actually plan to have them work together on screen again. Before he got injured, Jason Jordan had a pretty good thing going for him as a heel. When he comes back, they’ll need to re-establish him a little bit. Putting him back with Chad Gable would be an interesting way to do that. They can continue to tell that nepotism story with Kurt Angle, only this time apply it to American Alpha and the tag team division. This could, of course, lead to a split and feud between Jordan and Gable. Gable gave an interview last night about starting a singles run, and I certainly don’t want to rule that out. Technically, Raw is still connected to 205 Live. So a run at the Cruiserweight Title could be in his future. But I truly think they brought him over to capitalize on his history with Jordan. Whatever that entails, it will be his job first and foremost. Not sure why they bothered with this one. The ship has long since sailed for Konnor and Viktor. At least as the Ascension. Had they stayed on Smackdown, I actually would have been open to seeing them repackaged as the new Miztourage. Something to show us a new side of these guys, as it did for Curtis Axel and Bo Dallas. But now? I don’t know. It feels like they just moved these guys so they could be squashed by the Authors of Pain. As it was with the Singh Brothers, technically Mike was the only one drafted. But they wouldn’t move him without Maria. I’m guessing, however, that they’ll want to repackage him. Maria getting pregnant obviously threw a monkey wrench into their whole “power of love” gimmick on Smackdown. Which might have been for the better, actually. While I maintain it could have worked, it clearly wasn’t. So a repackaging is clearly in order. For now, just getting back on television would be a step in the right direction. 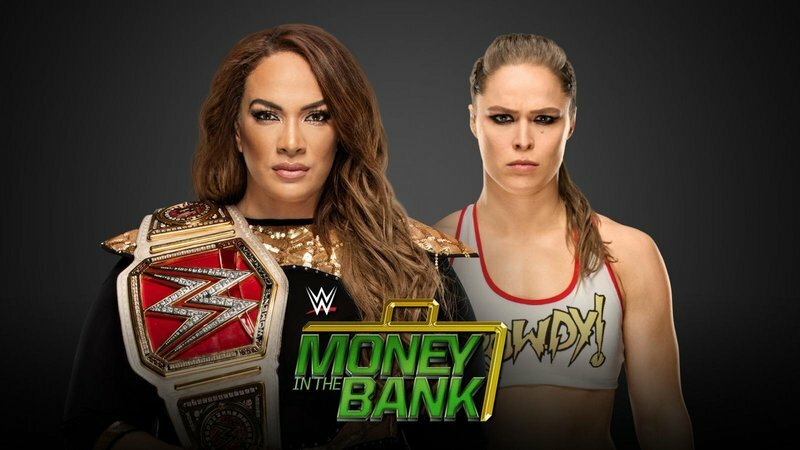 This entry was posted in Wrestling and tagged 3MB, Baron Corbin, Bobby Roode, Dolph Ziggler, Drew McIntyre, Heath Slater, Jinder Mahal, Kevin Owens, Kurt Angle, Liv Morgan, Maria Kanellis, Mike Kanellis, Mojo Rawley, Natalya (WWE), pro wrestling, professional wrestling, Ronda Rousey, Ronda Rousey WWE, Ruby Riott, Sami Zayn, Sarah Logan, The Ascension, The Hype Bros, The Miz, The Riott Squad, The Singh Brothers, WWE Monday Night Raw, WWE Raw, WWE Raw results, WWE Smackdown, WWE Smackdown Live, WWE Superstar Shake-Up, WWE Superstar Shake-Up results, Zack Ryder on 04/17/2018 by primaryignition. 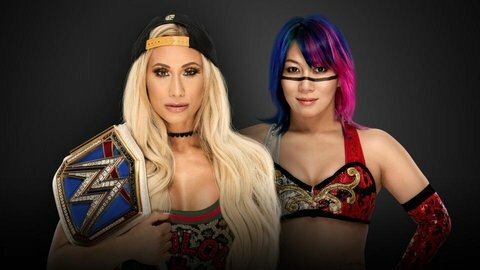 We’re back, this time with some title matches. Before you dive in here, I invite you to check out the Kick-Off Show predictions. You’ll notice WWE’s love affair with muti-man matches is still very much a thing. Though that’s been the case at Wrestlemania for almost two decades now. Multiple teams competing for a set of tag belts, multi-man matches for the Intercontinental Title, and that’s not even getting into all the Money in the Bank Ladder Matches. 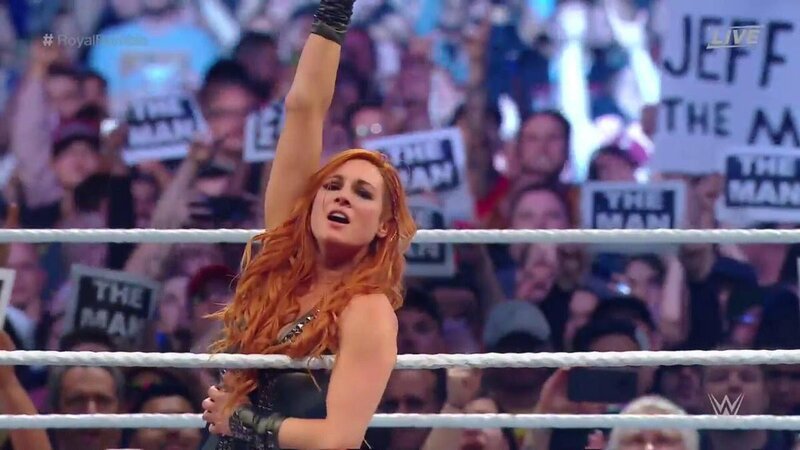 Much is made about what match opens Wrestlemania. You can make a strong case for this one being the opener this year. That New Day entrance alone would be a great way to start the show. But then you take into account how the Usos and the New Day have consistently torn the house down in the last several months. I don’t see how you can lose with this one. 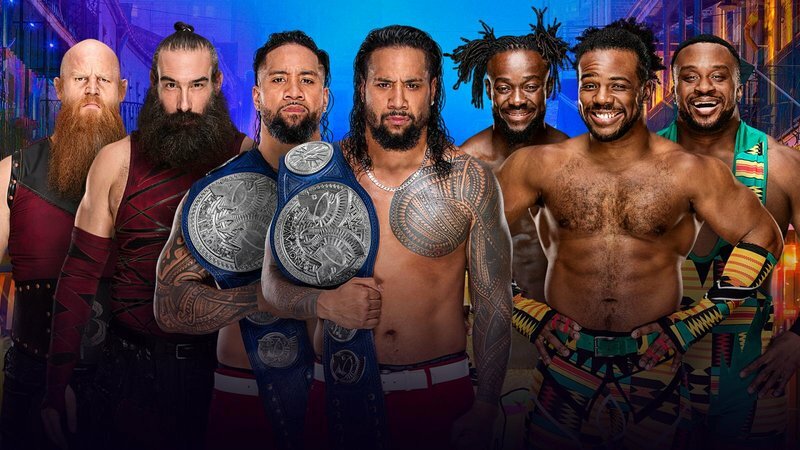 Despite having been in WWE for about a decade now, this will be Jimmy and Jey Uso’s first match on the main Wrestlemania card. So what the hell, give ’em a win. They deserve it after the year they’ve had. So let one of the Usos pin one of the New Day guys, and give the Bludgeon Brothers a gripe about never being beaten. Rusev reportedly asked for his release not long ago, and WWE placated him by adding him to this match. I’ve got mixed feelings on that. If they’re not treating him properly, or not trying to maximize the potential of this “Rusev Day” stuff, then they’ve got no one to blame but themselves. On the other hand, Rusev has hit on something great here. It might be foolish for him to step away. In any event, they obviously want to keep him around. As they clearly should. I’m thinking this is Jinder’s match to win. Randy Orton only has the title because they need something for him to do on this show, and Bobby Roode desperately needs a heel turn. In theory, they could give it to Rusev. But I see them finding a screwy way to put it on Jinder (Maybe the other Singh Brother comes back? ), leading to a program with Rusev. Given the skills these three guys have, this match has high expectations from a quality standpoint. That’s fair, assuming they have enough time to really deliver. I don’t think it needs to be reiterated just how big this card is. You really can’t go wrong in this one. Miz has obviously been an amazing IC Champ, and both Rollins and Balor would be worthy titleholders. 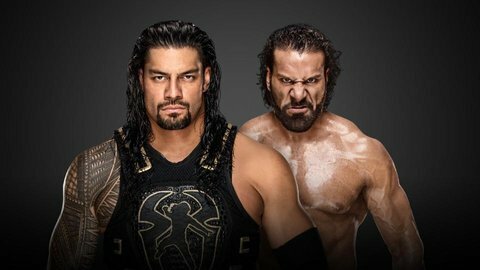 The Bar (c) vs. Braun Strowman and ? This isn’t the spot on the card that a lot of us wanted for Braun. He could easily have been the one facing Brock for the title. But this is still pretty good. And to their credit, they’ve managed to get some decent television out of it. The “Brains” Strowman bit on Monday was hokey, but it got a chuckle out of me. They can get away with having Strowman win the belts by himself. 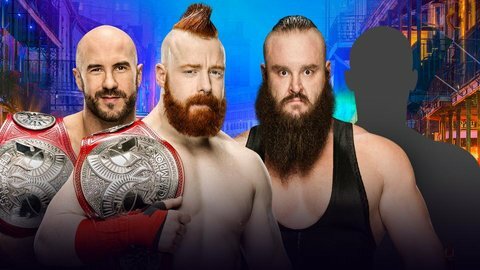 It doesn’t do much for Sheamus and Cesaro. 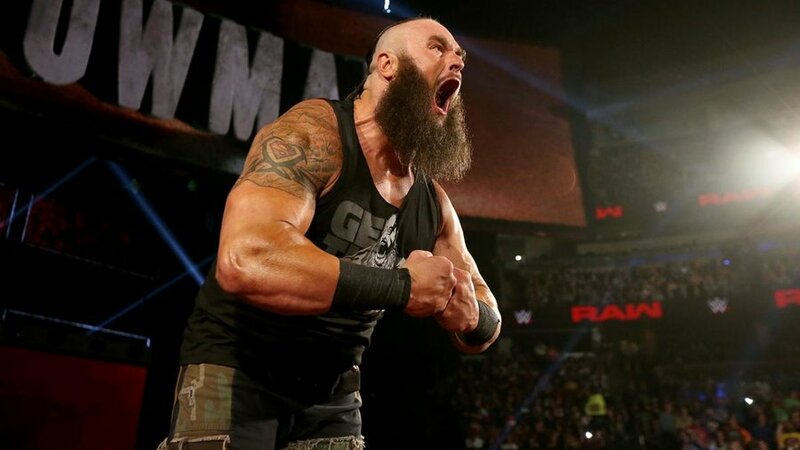 But Braun has the whole superhuman monster thing going for him. It makes sense. But let’s say you have to put somebody with him? Who do you go with? Elias would work. There’s been some buzz about the Big Show, now that he’s signed a new contract. Rey Mysterio’s name has been mentioned. Oddly enough, it would also be a good spot for the recently released James Ellsworth. 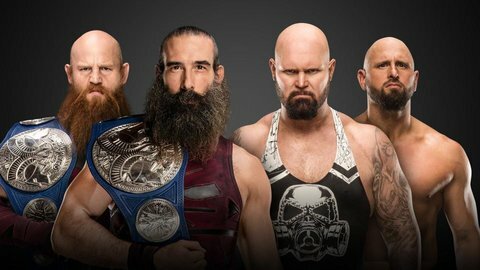 Regardless, after Wrestlemania we’ll either have some sort of oddball tag team, or Braun defending the tag titles on his own. Both ways work. 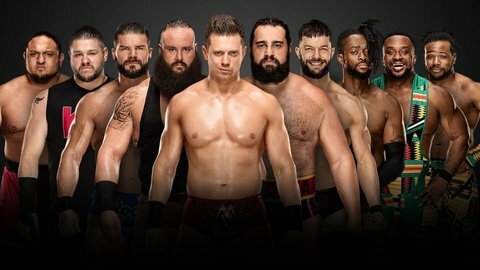 This entry was posted in Uncategorized and tagged Big E., Bludgeon Brothers, Bobby Roode, Braun Strowman, Braun Strowman partner, Cesaro, Erick Rowan, Finn Balor, Jinder Mahal, Kofi Kingston, Lana (WWE), Luke Harper, pro wrestling, professional wrestling, Randy Orton, Rob Siebert, Rusev, Rusev Day, Seth Rollins, Sheamus, The Bar (WWE), The Miz, The New Day, The Usos, Wrestlemania, Wrestlemania 34, Wrestlemania predictions, Xavier Woods on 04/05/2018 by primaryignition. Over the last few weeks, 205 Live seems to have gained something it’s desperately needed from the start: Buzz. And the one we have to thank for it is, of all people, Triple H.
Or rather, the real-life Paul Levesque. Levesque, who serves as WWE’s Executive Vice President of Talent, Live Events and Creative, has become the new showrunner for 205 Live. As such, the name of the game seems to be reemphasizing the wrestling, and toning down some of the more cartoony elements in the show. Backstage segments with new GM Drake Maverick are being used as a reset button of sorts for various wrestlers. We saw one last week with Gulak and Nese, which led to what we got on this show. This week we got one with Jack Gallagher, who was told to start wearing standard ring attire again. We’re also introducing names from the NXT and the UK rosters. We spent a good amount of time getting to know Wales native Mark Andrews. 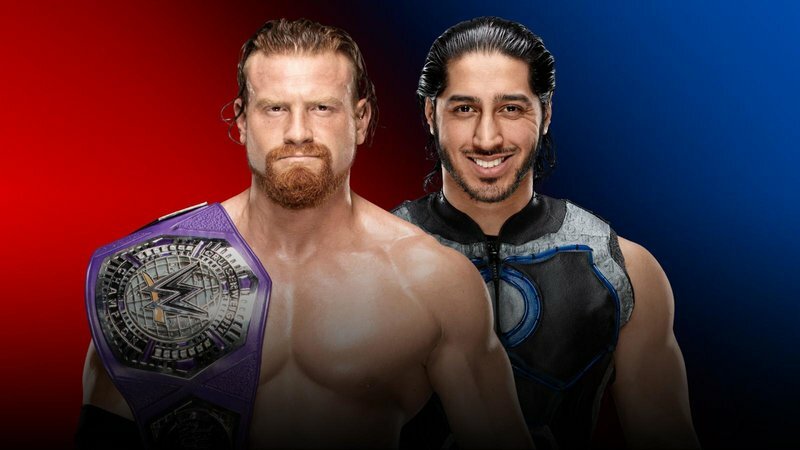 Former NXT Tag Champ Buddy Murphy was also profiled, with the story being about him reinventing himself and cutting weight to make the 205 Live roster. This is good. This is a change. One that makes sense, given 205 Live airs on the WWE Network. They can skew a bit more toward the devoted wrestling fans who pay that money every month rather than casual viewers. We’ve got plenty of time for that on Raw and Smackdown. The time has come to make 205 Live what it should have been from the start: An offshoot of the Cruiserweight Classic. That’s where WWE fans were first introduced to most of these guys. Let’s see if we can get some of those folks back. Kevin Owens and Sami Zayn ambush Baron Corbin and Dolph Ziggler before they can wrestle for a spot in the title match at Fastlane. Shane McMahon later makes Corbin vs. Owens and Ziggler vs. Zayn. 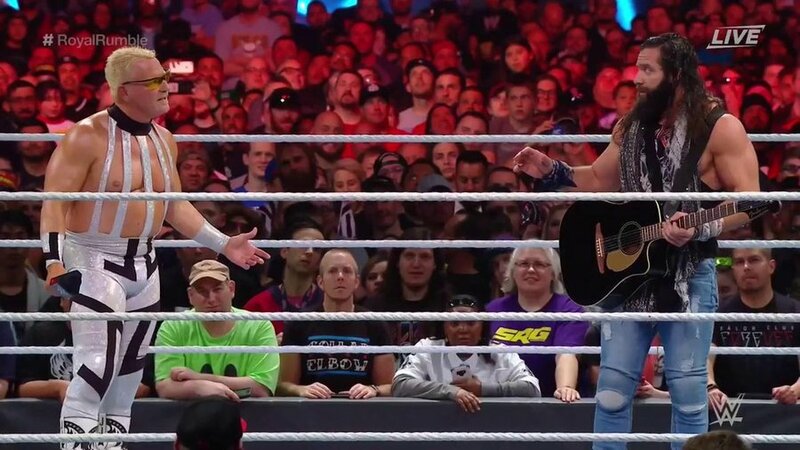 If Corbin and Ziggler win their respective matches, they get added to the Fastlane match. So Ziggler is apparently a babyface now, for no apparent reason. That’s fine, as Ziggler has proven he can do well in either role. I just wish they’d come up with a coherent reason for him to be back after voluntarily relinquishing the US Title. Later in the show, he talked about wanting to main event Wrestlemania. That’s a fine reason, but he still looks like a dope for walking out. I don’t know why I’m even complaining at this point. As far as the writing and booking for Ziggler are concerned, this kind of thing is par for the course. What’s more, he reportedly just signed a new two-year deal for $1.5 million annually. Hey, at least he’s well paid. Charlotte Flair def. Sarah Logan. At this point, Logan stands out the least among the three Riott Squad members. So I had trouble getting invested in this match for that reason. They made a point to talk about how Charlotte has now beaten both Sarah Logan and Liv Morgan, and is now targeting Ruby Riott. So what happens if she beats all three? Do they have to break up? 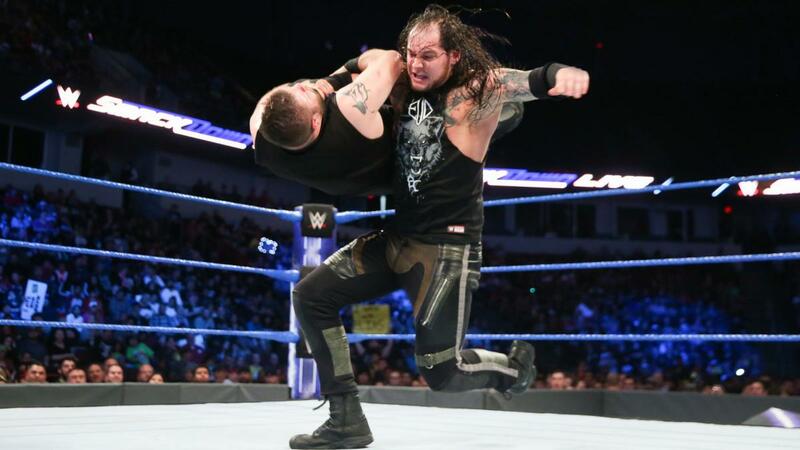 Baron Corbin def. 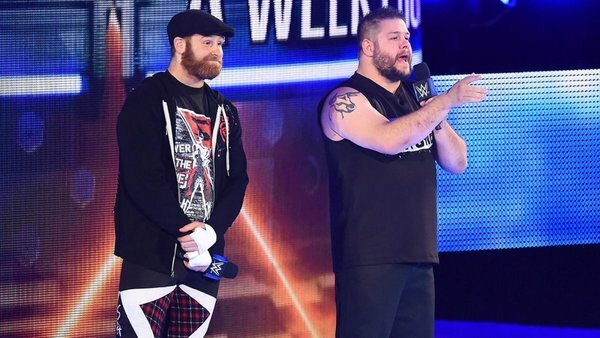 Kevin Owens to earn a spot in the WWE Title Match at Fastlane. The finish to this one was pretty obvious, and it dragged as a result. I was surprised to see Corbin get the clean win, though. Randy Orton attempts to accept Bobby Roode’s open challenge for the United States Title, but Jinder Mahal interrupts. A fight breaks out, and Jinder is left standing tall. So Jinder was trying to goad a reaction out of Orton for only being number 9 on the Smackdown Top 10. But the story behind the list is that it’s decided by votes from fellow wrestlers, and is essentially a popularity contest. Why would a loner character like Orton care? On the other hand, this could open the door for a Randy Orton heel turn. It wouldn’t be a big stretch. He could talk about being disrespected by both the wrestlers and the fans, and throw in that he apparently wasn’t even invited to Raw‘s 25th anniversary show. And if he really wants heat, he can retire the RKO. The New Day def. Shelton Benjamin and Chad Gable. This match spun out of a segment about pancakes. No, seriously. How Gable was able to hit that roll-through German Suplex on Big E, I’ll never know. Absolutely sick strength. Dolph Ziggler def. 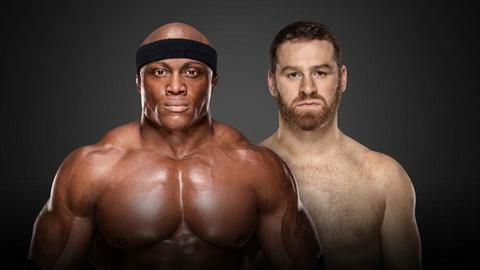 Sami Zayn to earn a spot in the WWE Title Match at Fastlane. Like the Owens/Corbin match, my interest in this one was pretty low. They were starting to get me toward the end, though. Hell of an Exploder Suplex. 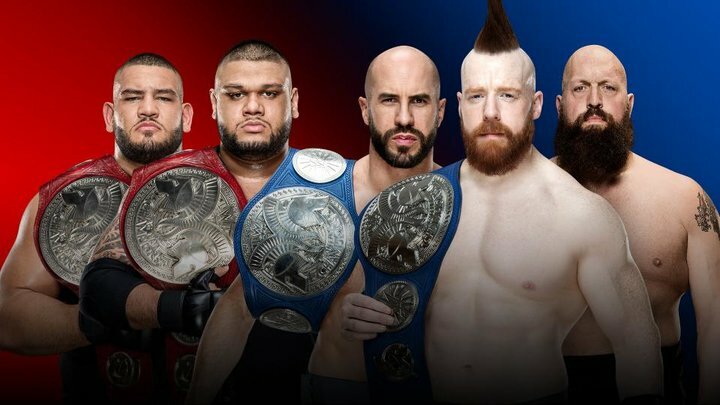 So now we’ve got a Fatal Five-Way for the title. I’d love to know why they’re so fixated on these five-man matches as opposed to four or six-man matches. Comparatively, it’s such an awkward number. 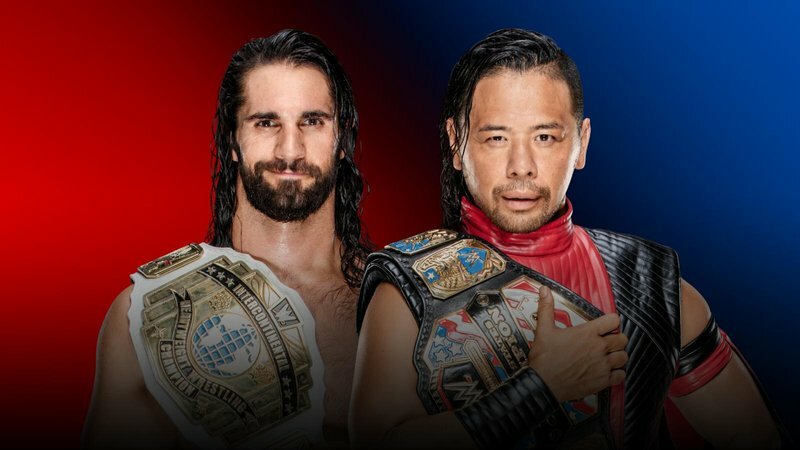 The good news is that with AJ Styles, Kevin Owens, Sami Zayn, and Dolph Ziggler in there, they’d have to try pretty hard to make this a bad match. 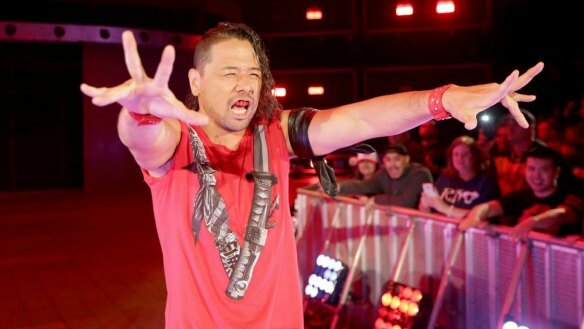 Conspicuous by his absence this week was Shinsuke Nakamura. 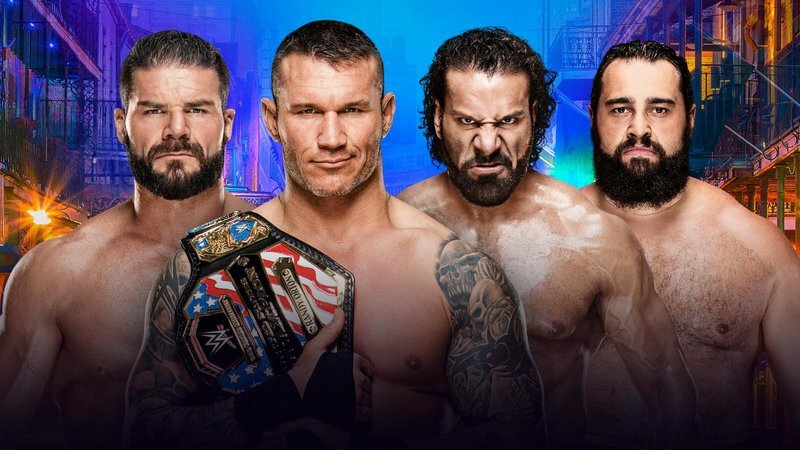 Now that we’ve got five guys in the main event, and what appears to be a three-way between Randy Orton, Bobby Roode, and Jinder Mahal, who does that leave for Nakamura? Rusev, maybe? Could they feed him a lower midcard guy like Mojo Rawley? This entry was posted in Wrestling and tagged Baron Corbin, Big E., Bobby Roode, Buddy Murphy, Chad Gable, Charlotte Flair, Dolph Ziggler, Drake Maverick, Drew Gulak, Jack Gallagher, Jinder Mahal, Kevin Owens, Mark Andrews, pro wrestling, professional wrestling, Randy Orton, Rob Siebert, Ruby Riott, Sami Zayn, Sarah Logan, Shelton Benjamin, Shinsuke Nakamura, The New Day, The Riott Squad, Triple H, Triple H 205 Live, WWE, WWE 205 Live, WWE Cruiserweight Classic, WWE Cruiserweight Division, WWE Fastlane, WWE Fastlane 2018 on 02/15/2018 by primaryignition.